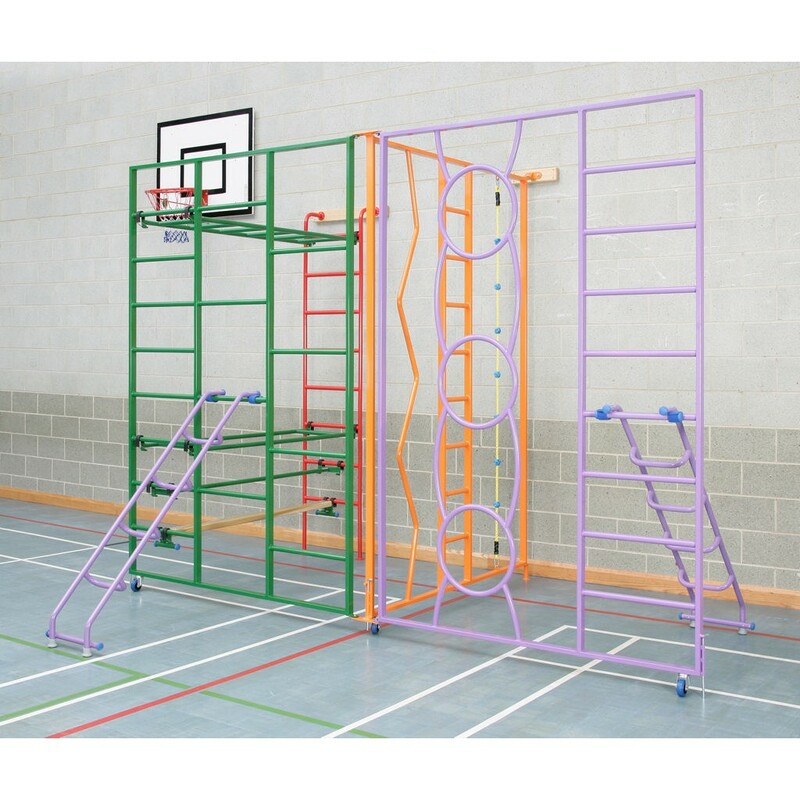 A colourful and robust Climbing Frame suitable for use in Key Stage 1 and 2 activities. 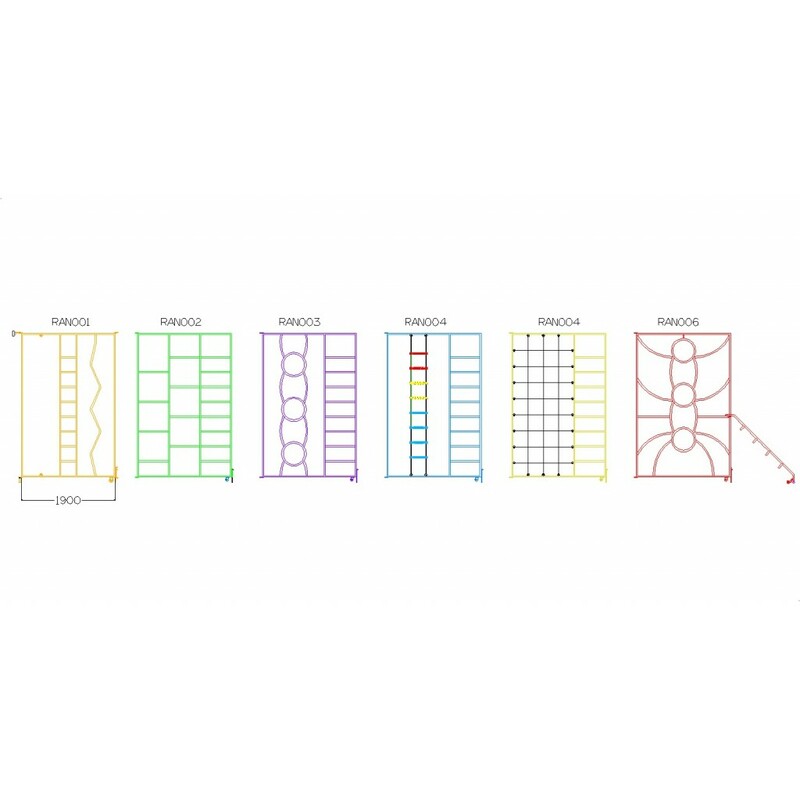 It is constructed with 32mm dia tubular steel within a 50 x 25 box section frame, the powder coated finish providing wear and scratch resistance. 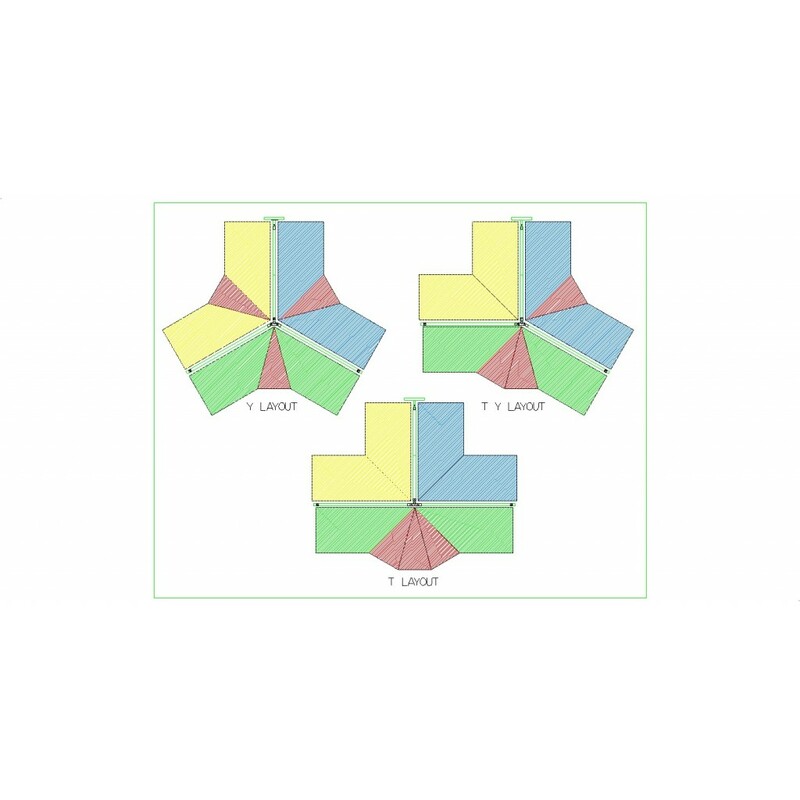 The frame can be used in both ‘T’ and ‘Y’ configurations, and is braced by two steel ladders for extra stability. 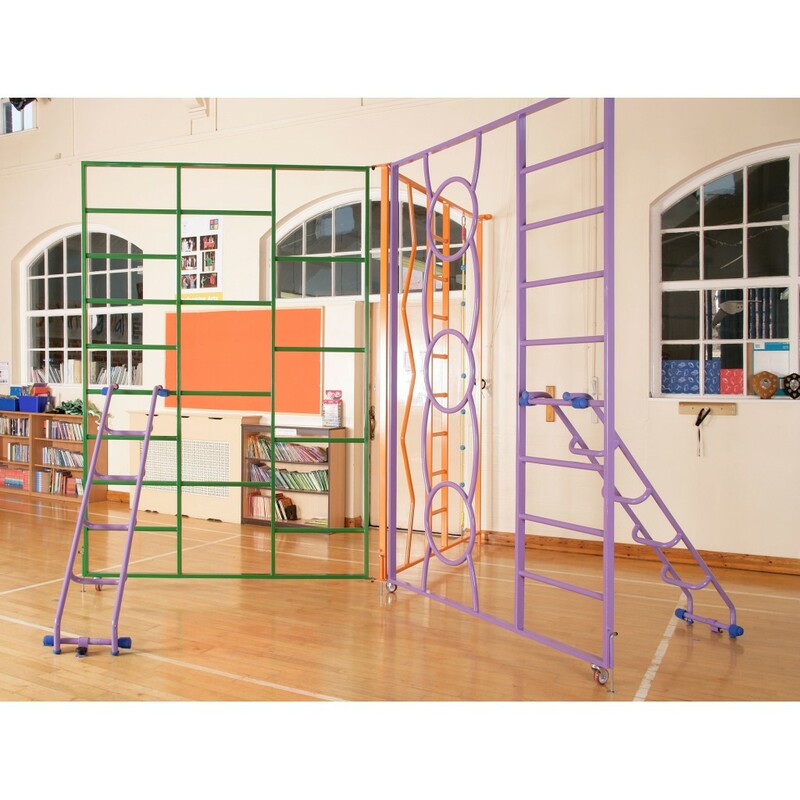 Also available are a fixed wall ladder for use with the frame in a T position, which then allows linking items to be added between the ladder and the climbing frame giving scope for additional activities.